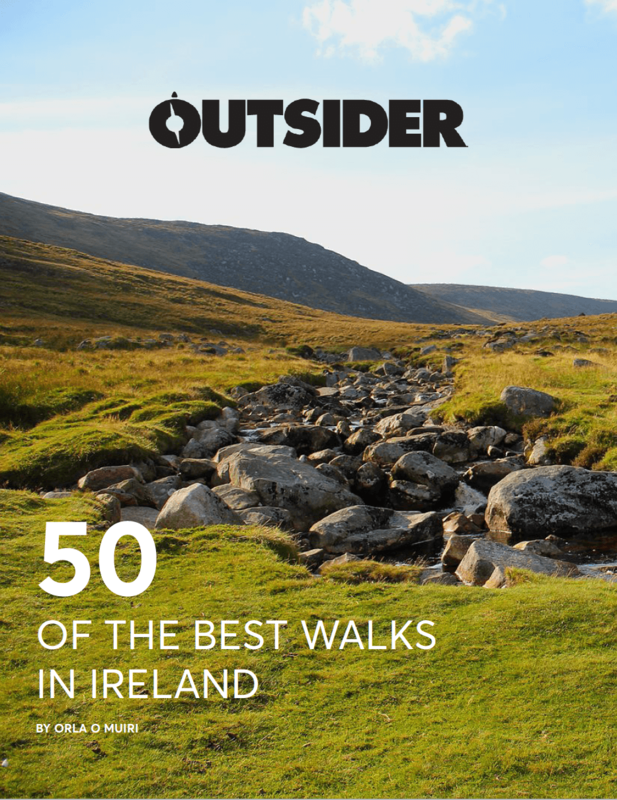 That’s 1,509 miles in 104 days in the worst winter Ireland has had for years! Not a keen navigator (her friends say she would get lost in a supermarket), Mary’s plan was simple, just keep the sea on her right when she leaves her hometown of Arklow, Co Wicklow and eventually you’ll end up back in Arklow. And that’s exactly what she did. 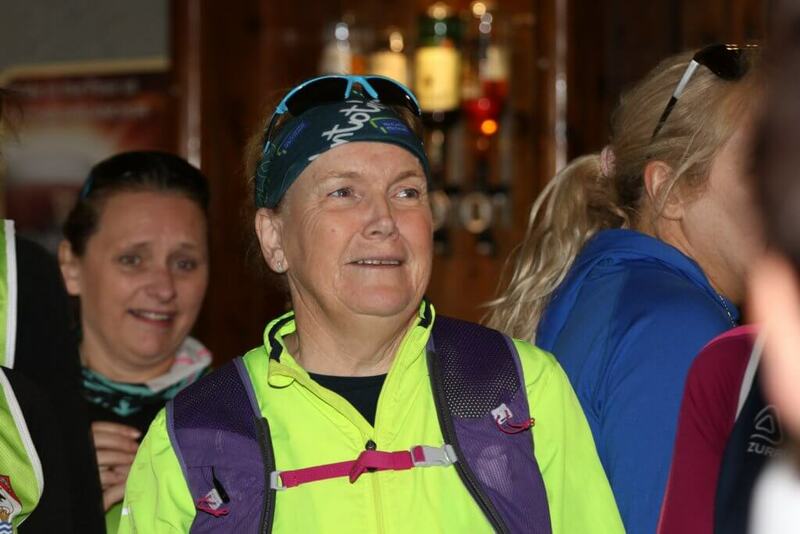 We caught up with Mary post challenge to find out how it all went. You seem to have chosen the toughest winter we’ve had in a long time! How bad was it? One day in Donegal, it was so cold and the rain was so bad that I was afraid of getting hypothermia. The gear I had on me was not doing its job. So I went into a little garage. I sat down and had a cup of tea and a sausage sandwich. Then I asked the girl behind the counter for a plastic bag and she gave me a big huge bin liner. I bought a pair of Marigold gloves, went into the loo and took all my clothes off. I had one dry top with me that day, I put that next to my skin, then put the plastic bag with holes in the top and the side over the top and then all my wet clothes on over it. I then put the marigolds on and put every hood up around my head. I went out trotting along the road again and within ten minutes my core temperature was grand. I did have to power walk because of the gale force winds. But I was grand, it’s just bad weather. I was in Listowel, Co Kerry when the beast from the east hit. I had to hunker down there for three days. It was a beautiful place to be stuck in but you do lose your momentum a bit and get tired. You feel a bit trapped but with a red weather warning, I had to stay put. It was the rain and the wind that would get to you at times but once you were geared up your momentum would get you from where you were, to were you were going. The people I met along the way made the trip for me. They were just so kind. People would come out to run with me, to offer me a place to stay, they would leave out water bottles for me, or roll down their windows and hand a few bob out to me. I felt totally supported even when I was on my own. Schools would follow me on the tracker and come out in force as I was passing them. I‘d hear chants of, ‘Mary, Mary,’ it was like coming into a football field. And my team at home in Arklow; Allison, Brenda, Nick, Hazel, Clare, Mandy, Collette, Mark, Jean and Padraig were just incredible. All I had to do was get up every day and run, they took care of everything else. 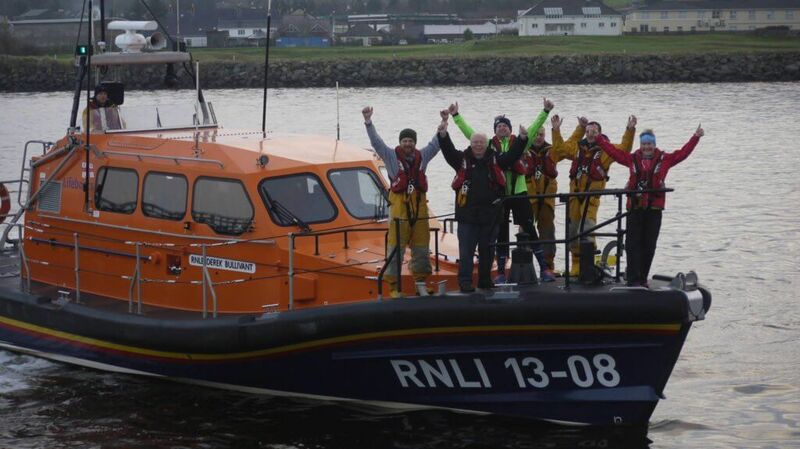 Knowing that I was doing this for the RNLI and that there was some good coming out of it helped a lot. I was hoping to raise about €20,000, we ended up raising €73,000. 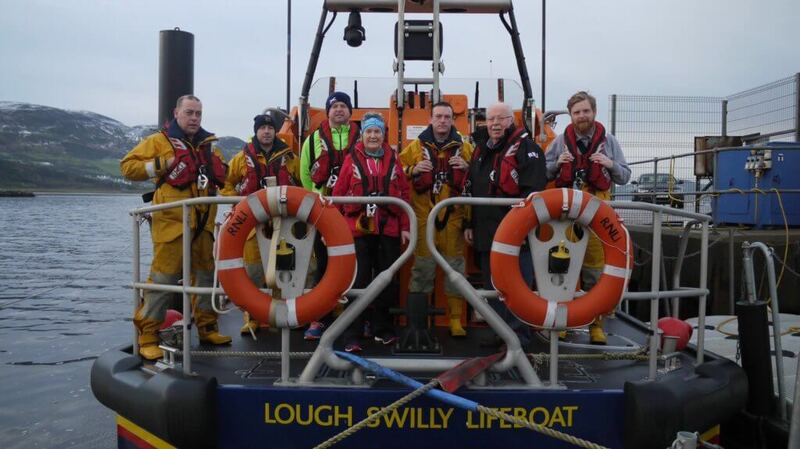 An added bonus is that it raised awareness that the RNLI is a voluntary organisation. These are just men and women that give up their own time to go out and help when people are in trouble in the water. The views around the whole coast of Ireland were incredible. Every now and again I would just have to stop and take it in. The only disappointing thing was the amount of rubbish. I’d be stopping to look at these beautiful views and I’d look down and there would be coffee cups, cans, plastic bottles everywhere. Once you become aware of it, it’s all you can see. Was there ever a doubt in your mind that you wouldn’t complete it? I am 66 years old, I have been running for 50 years, if I was a car I would have been scrapped years ago but I’m a human with a strong mind. The body is an amazing little machine, it can take a lot of hardship but it was never that uncomfortable that I thought no, I can’t finish this. What was it like at the finish line? Coming into Arklow at the end was just incredible! There were bands, there were schools, there were banners, it was just fantastic. My twin brother who lives in England came home to surprise me. It took me a long time to come down to earth but still, while I’m doing my shopping, little kids in Arklow will see me and say, ‘there’s Mary Nolan, there’s Mary Nolan’. So now I know what it’s like to be in a girl band! I learned that I am tougher than I realised. I thought I was tough before because I had done a lot of mad stuff before like the Marathon des Sables, 100km races and crazy marathons. Endurance is a state of mind and body. But I reckon if you haven’t got the right mindset then you’re going to find it difficult. You do have some dark days, bad weather, huge blisters, injuries, exhaustion and down times but in the middle of all of that, you have the most incredible moments. Like this? You should check these out?